THE JANUARY BLANKET IS DONE!! 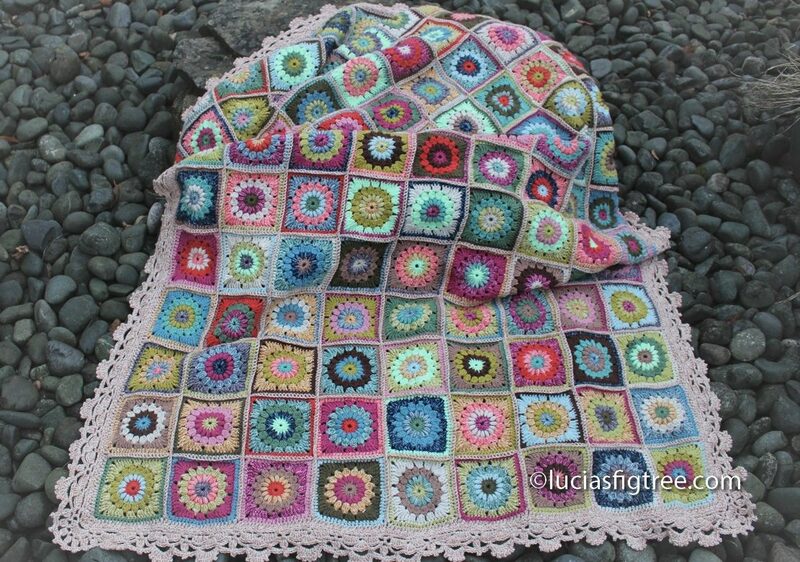 First THANK YOU SOO MUCH for the lovely comments and likes , I m really glad that the first blanket of 2017 has been received so well, I am so glad you loved the colours even if the pictures I posted on Instagram where not the best. anyway I am not entirely happy with the results but I have to do for now, as I have received so many messages asking for details ,colours and ..the border! As said in my previous post the SPECIAL DK is 100% premium acrylic fibre and comes in a 100 gr. ball. the STYLECRAFT BATIK DK is a 80%premium acrylic and 20%wool and come in a 50 gr. ball. both yarn are machine washable at 30 degrees and also cool tumble dry. I tested both of them several times and they wash beautifully .that is the reason why I use this yarn, because there is no point making a beautiful blanket and then been afraid to use it because it is a nightmare to wash ( never mind drying) but I wont go into a big discussion about quality and versatility . we leave that for another time. colours 22 of them…I know sounds a lot but the variety in hues makes the blanket really. STYLECRAFT SPECIAL IN: lime,pistachio,cypress,khaki,spring green,tomato,mocka,walnut,pale rose, raspberry ,sage,storm blue. the border joining and border are made with STYLECRAFT BATIK in biscuit. BATIK: 1 ball for each of the colour listed, plus 5or 6 balls for the joining and border. a note: when I made the blanket I found I got a bit short on the batik but just for probably 7/8 grams. now ideally you want to have 2 balls of the batik for each colour but again you will have left a lot of yarn, and I don’t know how you feel about it. I don’t mind as I make blankets all the time so I will re-use what is left, but if your blanket is one-off, you might want to think about it and maybe use more of the special colours as you will have plenty there to finish with. 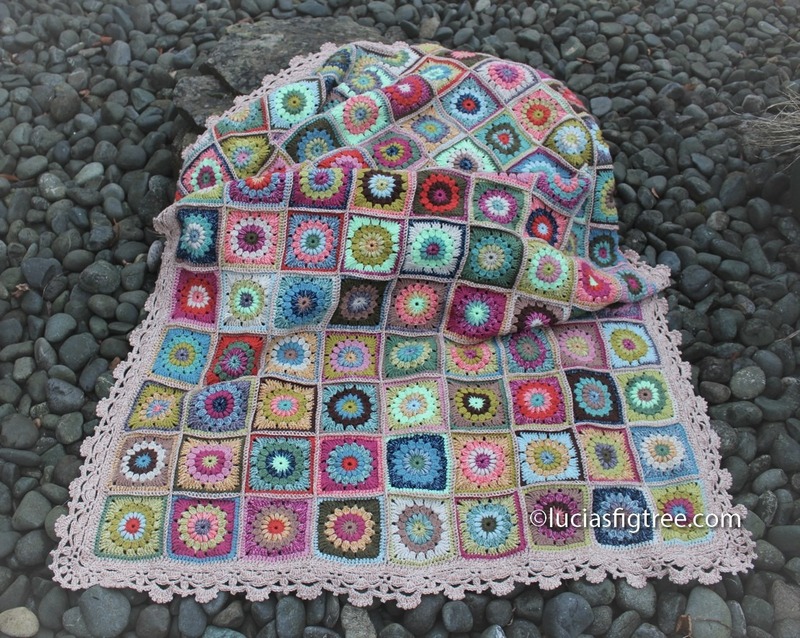 I would still use the biscuit for the border and joining though, it is so lovely and it suits the blanket beautifully. The quantities above are for a blanket which measures: 120cmx200cm .I made 9 strips of 15 squares each , so we have in total 135 starburst squares. please check the 2nd hand availability as it can be a fraction of the price and unless the books are ex library they are always in great condition , besides you recycle and save the planet and give a really nice book another chance! so win-win all the way ! note that I have added an extra round of half trebles, that is because it frames better the square and make the all thing much neater , but I am afraid, it adds more ends to sew! 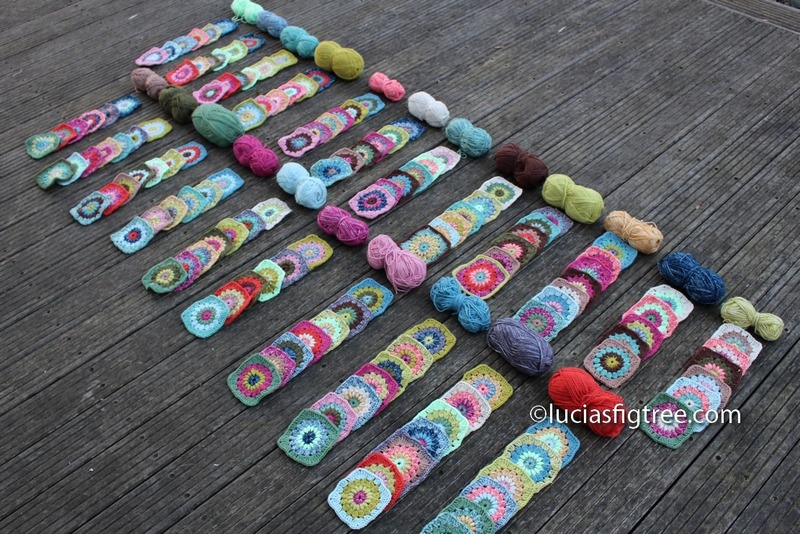 and talking about the much dreaded ends, just after each round is complete please,please sew your ends!!! if you do that it is not such an horrendous task at the end ! 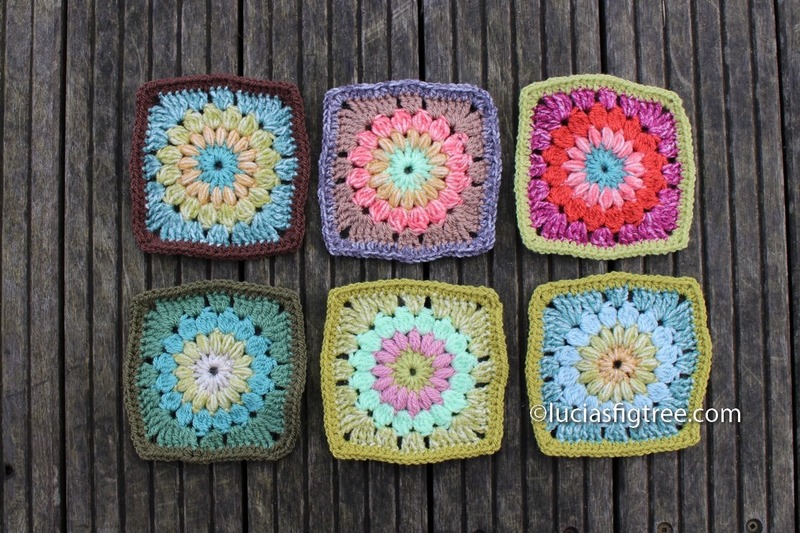 there are 2 ways to make the blanket: one you do the lucky dip and pick random colours off a bag without looking, or if you are like me and you want to control the hues makes all the 135 squares one round at time , then you clear up some space or use the outside and place 135 little squares so to decide the next colour up. both methods are excellent it is just up to you what you prefer. 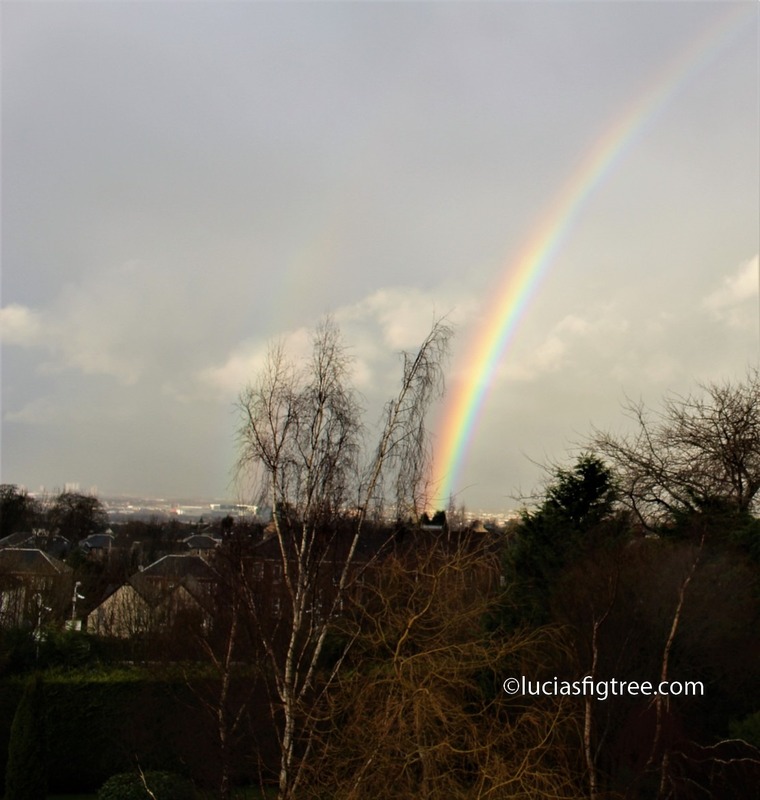 I m so surprised and delighted that the border has been such a success! as said on facebook I tart up something I saw on the internet. this is the original diagram. as you can see it is just the horizontal part and there is no corner.. so I made the corner up and eliminate some of the rounds. 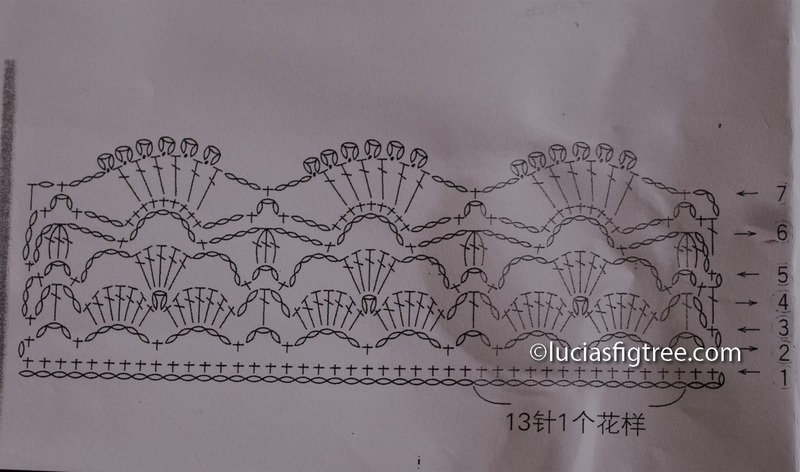 this will make a nice sturdy frame for the border. 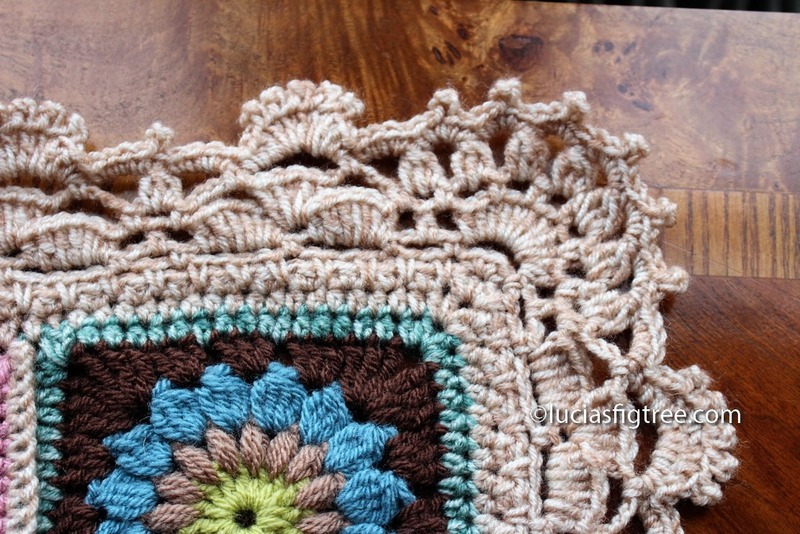 the border works on a multiple of 13 stitches . I started just after the corner with a ch3 skip 2 of the base. and kept going with round 1 . this round it is really important and yougot to arrive at the corner with a ch3 so be careful, if you find that for some reason you are either shorter or you got too many just unravel a few of the chain and try to fiddle a bit you wont notice that much at this stage if instead to skip 4 you skip 3 as long as you do it for a max extra of 4/5 stitches! it is called fidgeting…don’t do more then that or you have a dog-dinner of a border!! On a serious note if you keep the intervals precise of round 2 in the diagram your border will sit perfectly flat . ROUND 3 :I followed the diagram but I didn’t do the 3 ch space between the 2 shells. ROUND4: I followed the diagram but instead to do the shell on the 3ch space that I omitted in the previous round I did my shell in the space between the 2 shells of round two. ROUND 5: as the diagram. corner: please look at the picture, it is self explanatory . I will get the program to write diagrams and once I figured out how it works I will make it easier for everyone to follow my pattern..it is just I need to find the time to do that. If out there is one of you that is a computer wizard and know how to do that get in touch!!! 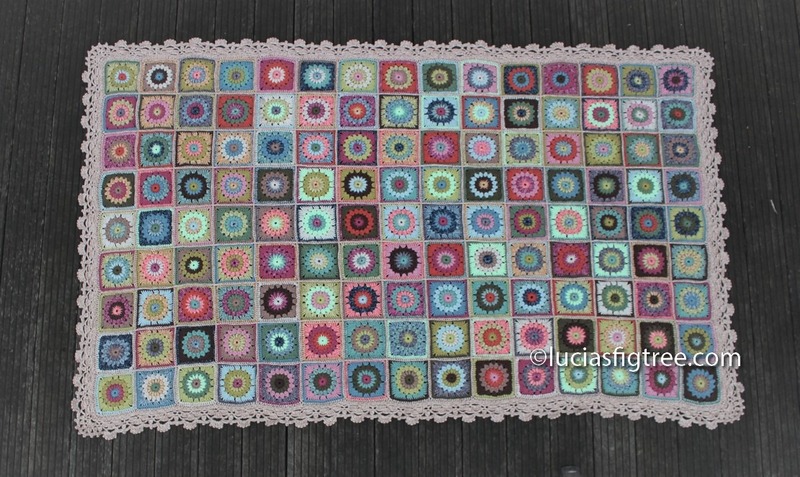 to the next blanket for February…gosh I have to think of something then!!!! …I deffo bitten more then I can chew with this one blanket each month! Che bella coperta, complimenti Lucia! grazie Francesca! sono contenta che ogni tanto ho l’opportunita’ di usare l’italiano. Absolutely beautiful! Going to stalk Amazon for that book now. Grazie Lucia di aver dato a noi la possibilità di rifare la tua bellissima coperta! È splendida e mi attivo subito appena ho finito la mia… ciao e a presto! Ci mancherebbe Margherita! mi fa molto piacere che la coperta ti piaccia! mi farai vedere i risultati !! Cari saluti dal lago di Garda!